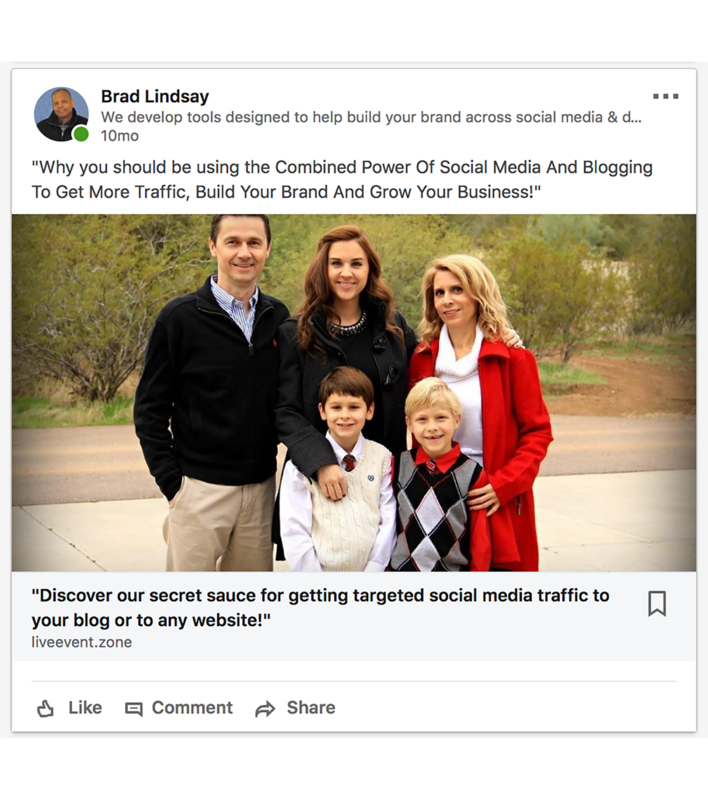 "An Extraordinarily Powerful Yet Easy to Use Tool, to Drive Highly Targeted Social Media Traffic To Build Your Brand & Grow Your Business..."
Limited Special Beta Launch Offer With 30 Day Trial for Just $1! It's simply Easier to use! 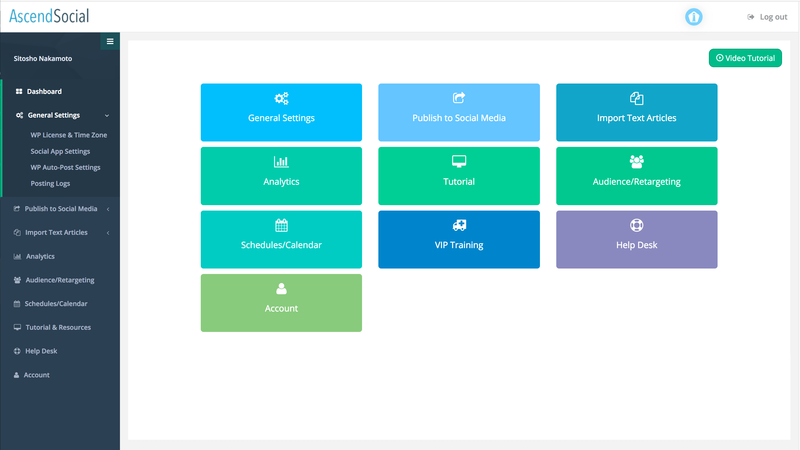 AscendSocial is an easy to use all-in-one solution for social media and WordPress allowing you to focus on building your business instead of struggling to publish your content across multiple social channels such as Facebook, Twitter, LinkedIn, Pinterest & Tumblr. ALL our writers are vetted and must prove their abilities by passing a screening test before being allowed to create content. 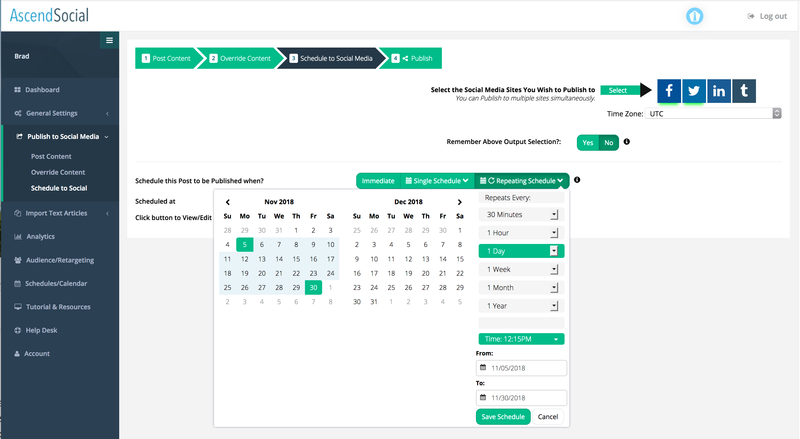 AscendSocial’s Powerful and simple to use ‘Scheduling Engine’ allows you to create ‘Single Schedule, Repeating Schedules or an Import Schedule’ of any content over any specified period of time. Our user friendly calendar interface makes it easy to see your social media posts and imports to your WordPress sites. You can even drill down to see individual post and campaigns. AscendSocial gives you multiple ways of creating your content. 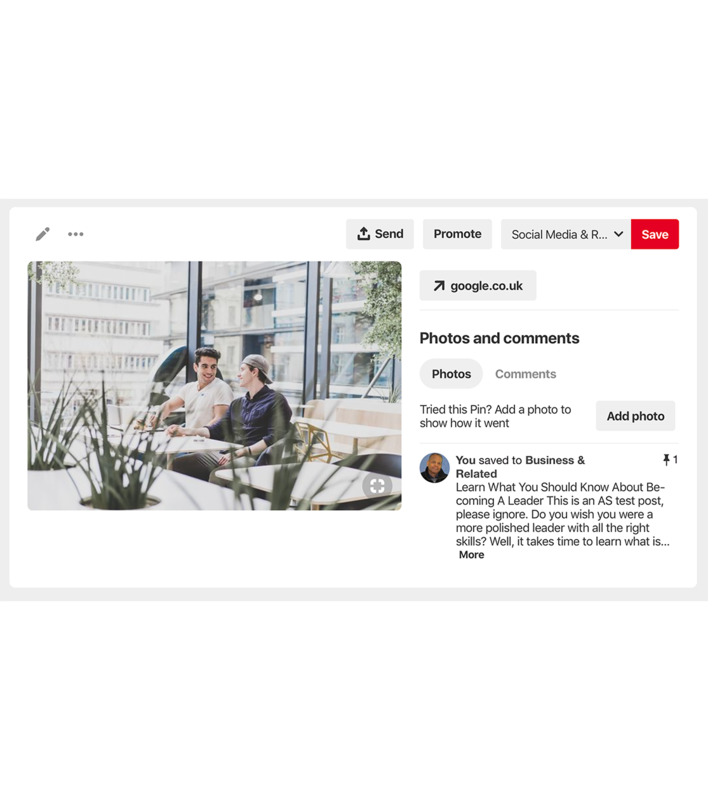 For example, with just a few clicks AscendSocial uniquely allows you to access any article from your ‘linked’ WordPress blog(s) and ‘publish a ‘teaser snippet’ of the article, complete with featured image or video. 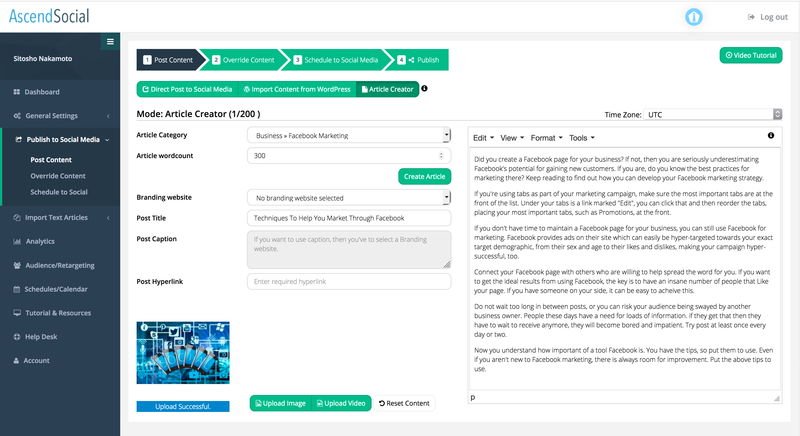 AscendSocial Article creator allows you to instantly create articles. And of course you can also manually enter your content and customize it separately for each social channel. Current supported social media channels: Facebook, Twitter, LinkedIn, Pinterest and Tumblr (Instagram to follow soon). 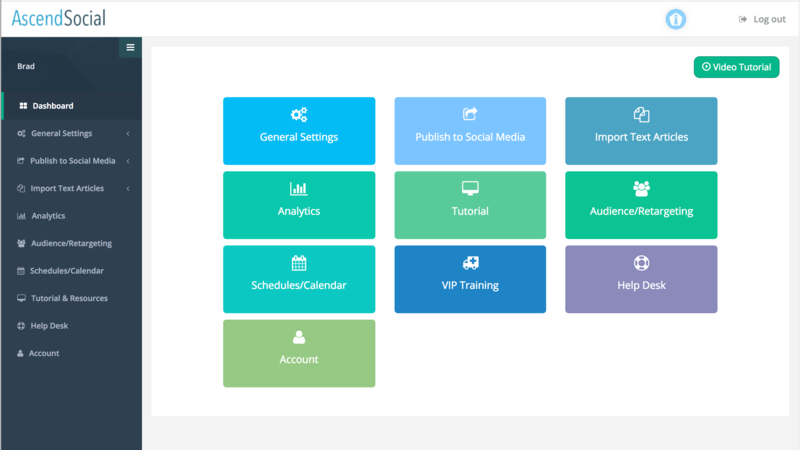 Just a few clicks of the mouse is all it takes to access and import any article (complete with featured image) from any of your WordPress websites directly into your AscendSocial dashboard. Tweak your content for each social channel before publishing out across social media! Import pre-written articles directly from text files, then automatically schedule and publish those articles to ‘your WordPress blog(s)’! 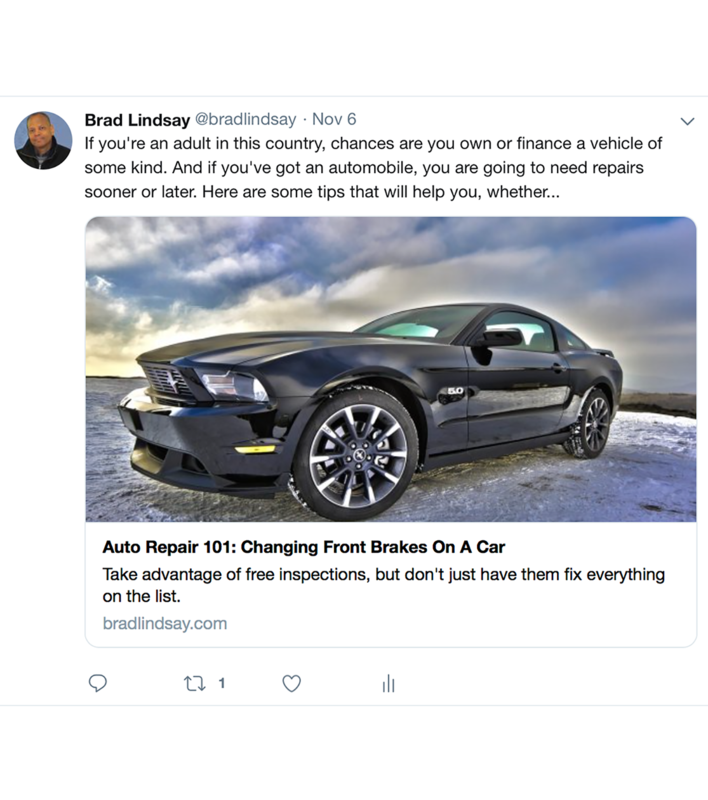 AscendSocial’s Powerful Import Engine can then automatically publish a snippet of each of your newly created blog posts out to multiple social media channels driving highly targeted traffic back to your blog! DRIVE TRAFFIC DIRECTLY FROM WORDPRESS! Whether you are creating new content or updating an existing article on your WordPress blog, AscendSocial ‘WordPress Auto-Post’ function can simultaneously publish a ‘teaser snippet’ of your content to multiple social media channels, driving highly targeted traffic back to your website. AscendSocial is flexible enough to allow you to schedule multiple imported text articles to be published at a specific time of day and at specific intervals to your WordPress blog! 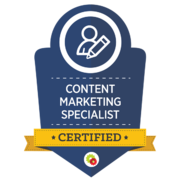 AscendSocial will then go to work driving targeted traffic back to your blog content automatically while you’re asleep or on vacation! The AscendSocial Calendar and Scheduling tool is extremely simple, flexible and powerful! 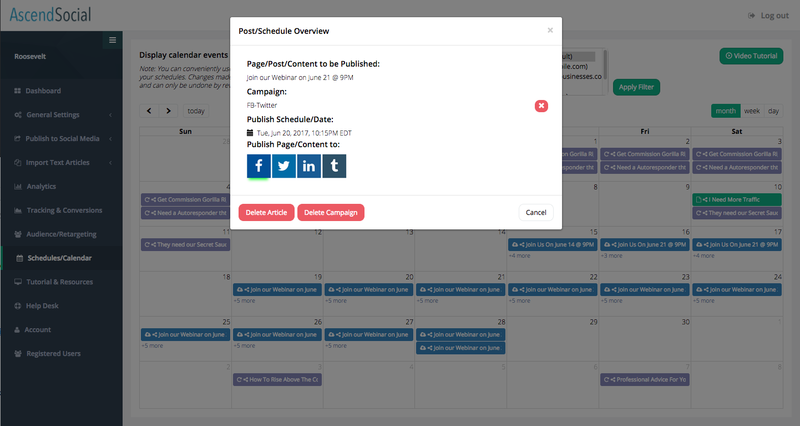 You can schedule content to be published on a specific day at a specific time or you can set a repeating schedule to go out at specific repeating intervals over a defined period of time. 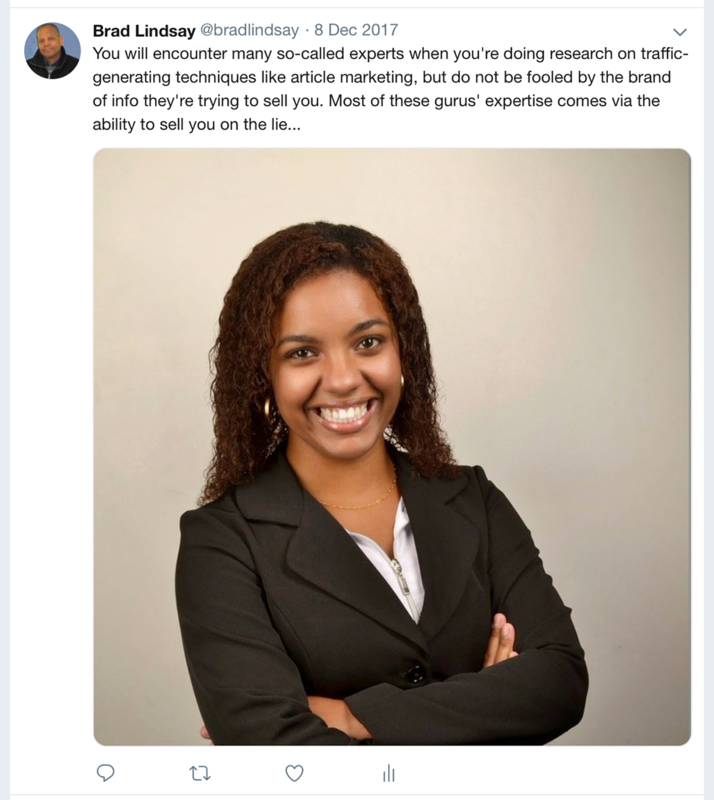 Strategically posting content out to your social media channels up to multiple times a day can significantly increases your reach and can reap tremendous rewards in terms of the increased free traffic it can generate. This very technique is used by many top brands to dramatically increase their audience! 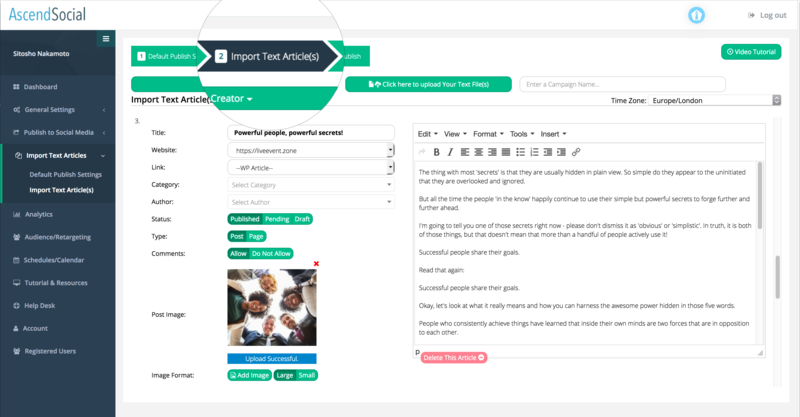 AscendSocial’s Powerful and Easy to use ‘Import Text Articles’ function allows you to automatically publish ‘new content’ both to your bog(s) and to your social media channels completely on auto-pilot! So now you too can benefit from this powerful simple strategy with AscendSocial! 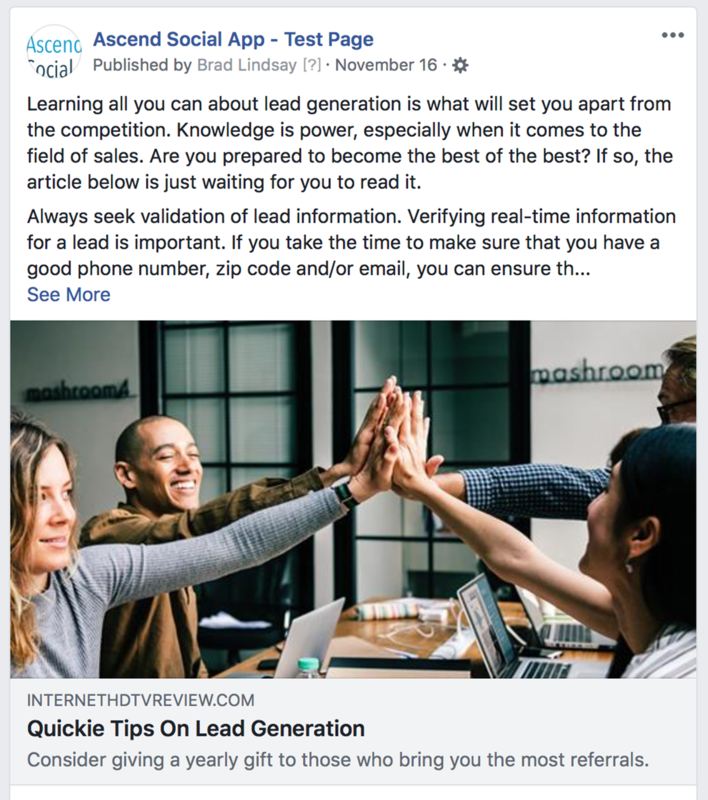 AscendSocial Article Creator is designed to produce high quality, well-written tip based articles built around the topic and subtopics you select. With more than 140 categories to choose from, writer’s block or just not knowing what to write about becomes a thing of the past! Tailor and customize the resulting articles to your own voice and liking should you wish, or go right ahead and run with the created article. 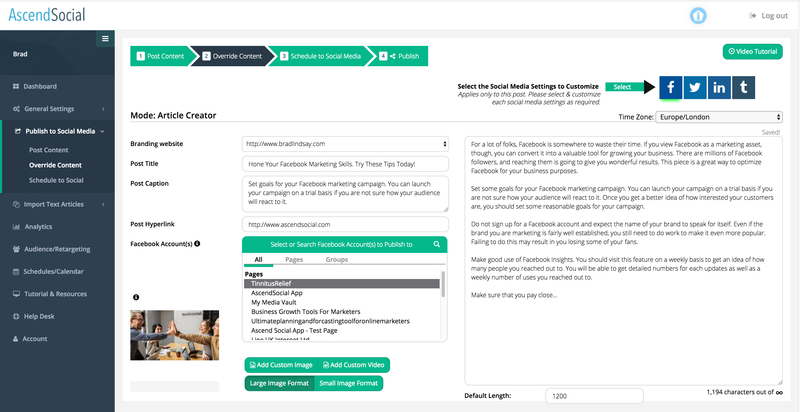 The AscendSocial ‘Override Content’ feature uniquely allows you to customize and tweak your content individually for each social media channel such as Facebook, Twitter, LinkedIn, Pinterest & Tumblr before publishing. This includes customizing the text, image or video content for each of those channels. AscendSocial Keeps You in Control! Supports multiple WordPress websites via licenses. Supports for multiple time zones. Connect each of your social sites to your AscendSocial dashboard. Control the individual ‘Snippet Length’ of the article being published to each social media channel when posting from within WordPress. Brick and mortar retailers should not overlook the power that social media can provide in keeping their brand in the minds of their customers, and ultimately helping to drive repeat business. AscendSocial can be your gateway to effective social media marketing. 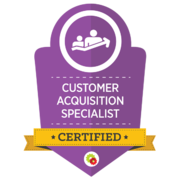 AscendSocial allows businesses like yours to leverage the phenomenon of social media and get more customers coming through your door. SUMMARY OF AVAILABLE FEATURES AND BENEFITS! AscendSocial’s cloud based platform runs within your web browser so it works both with Mac, PCs and Unix based computers. No software install required. Our currently supported social media channels are; Facebook, Twitter, LinkedIn, Pinterest and Tumblr. 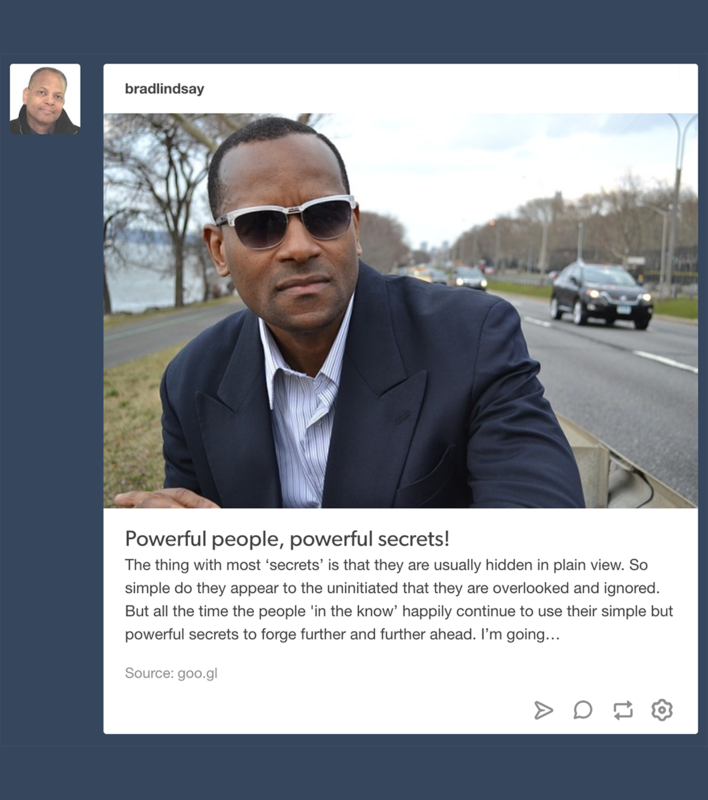 Enter content directly on the dashboard (Direct Post to Social Media), instantly create a unique high quality article with Article Creator or use the Import Content from WordPress function to import any article from your linked WordPress websites complete with the featured image. Import a single text article or multiple articles packaged in a zip file (with or without images) and publish to: WordPress or to social media or simultaneously to WordPress and to multiple social media sites. 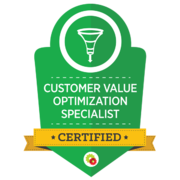 Automatically create quality, well-written tip based articles built around the topic and sub topics you select. A few clicks is all it takes to instantly create single or multiple articles! Optionally tailor and customize the resulting articles to your own voice and liking. Automatically publish new or updated WordPress posts simultaneously to multiple social media channels directly from within WordPress. Simultaneously published a snippet of your WordPress posts to multiple social media channels. • Coaching Support for Special VIP Closed Facebook Group. • Our VIP there to answer your specific questions. 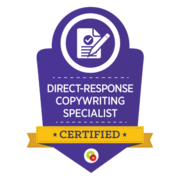 • Timely response to your social media related issues. • Providing helpful tips to improve your AS results. • Effective content marketing tips. • And much much, more. AscendSocial’s Powerful ‘Analytics Engine’ provides an attractive real time display of a host of valuable metrics giving you an immediate birds eye view of the success of your social media campaigns. 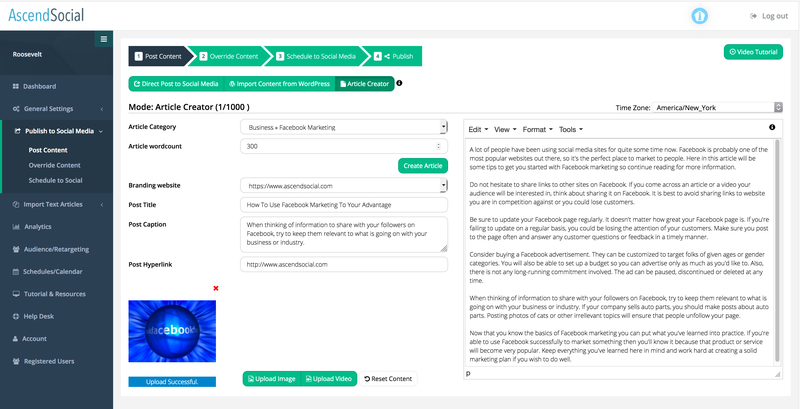 AscendSocial’s ‘Powerful Tracking Engine’ provides real time tracking of virtually any event that occurs on your WordPress website or blog which requires you visitor to take a defined action. Event which may be tracked and recorded includes newsletter signups, questionnaire responses, quizz responses etc or simply tracking the number of sales made on your website(s). 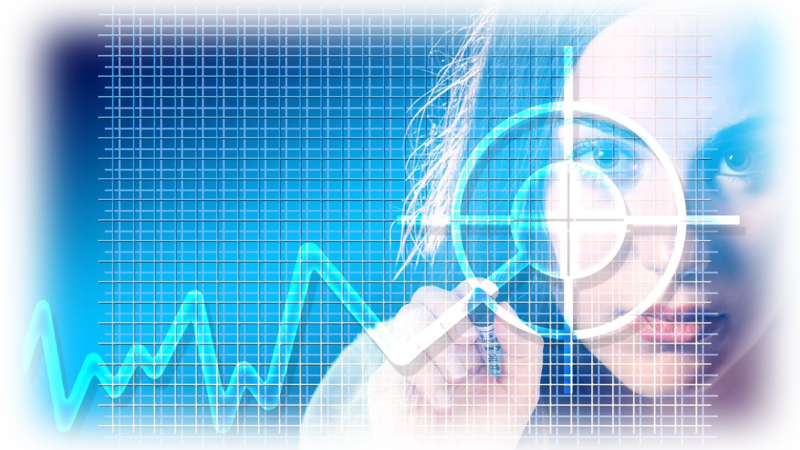 Retargeting is hot business… If you’re not using audience re-targeting, you are sure to be missing out on potential increased growth of your business. 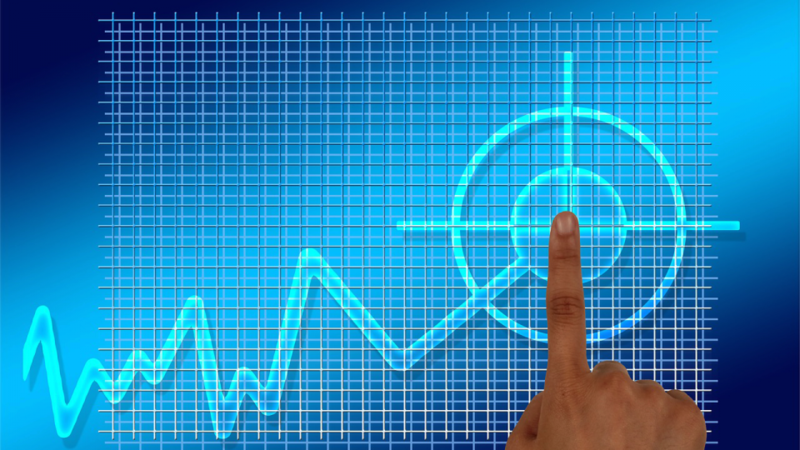 One issue with setting up re-targeting however is that your re-targeting platform generally requires that you insert a special bit of code (tracking code) in appropriate locations on your website pages. This is generally too technical a task for most users, resulting in potential loss of business. AscendSocial’s Retargeting Assistant makes it a breeze to set-up your re-targeting code on your WordPress Website or blog, be it from Facebook, Perfect Audience, AdRoll or virtually any other re-targeting platform. 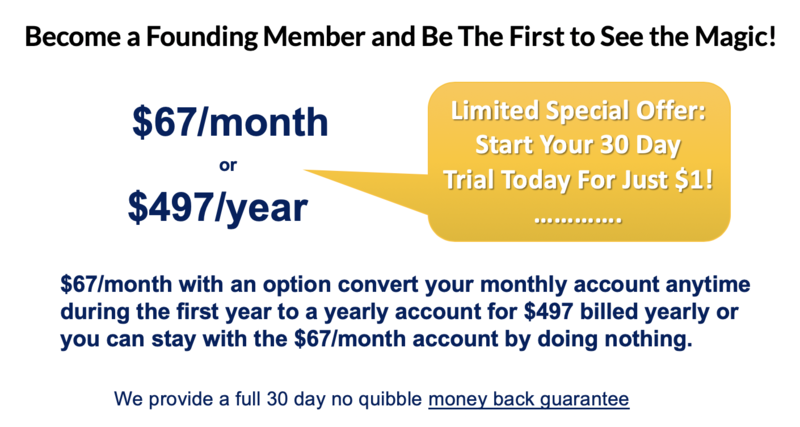 Limited Special Beta Launch Offer With 30 Day Trial for $1!